Some Defense Department personnel joined U.S. and U.K troops have observed demonstrations of unmanned aerial tools during a multinational joint equipment training brief held in Germany. 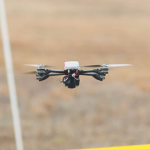 Civilian members of the U.S. Army‘s Tank Automotive Research, Development and Engineering Center led the event that featured the Instant Eye, Lethal Miniature Aerial Missile System and Puma drones, DoD said Thursday. The course was meant to prepare service members for the Robotic Complex Breach Concept showcase. Army Staff Sgt. Brian Logan said that Instant Eye works to detect hazardous exposure such as chemical and biological threats and helps prevent chemical, biological, radiological and nuclear injury through avoidance. Kenneth Martin, a Puma system operator, said the small unmanned aircraft employs a change-detection software to discern possible hazards through the identification of alterations to routes or roads. Beler Watts, an LMAMS spokesman, said the direct-fire missile is designed to neutralize enemy targets and soft-shell vehicles and leave a low collateral damage footprint. Soldiers will demonstrate new air and ground equipment at the upcoming breach concept exercise.